San Juan Island has more than its share of gorgeous natural attractions, which is one reason our guests love to visit. Starting with the ferry ride across the Salish Sea, to the drive through the island to arrive at Lakedale with peaks of Mt. Baker and glimpses of pastoral farmland and forests along the way, it’s easy to lose yourself in the island’s beauty. But we’ll fill you in on a local secret…there are some great events that happen all summer long that you may just have to add into your romantic vacation, weekend getaway, or family adventure! Music on the Lawn – Wednesdays, from June 27 to August 8, 6:30 p.m. – 8:15 p.m.
Rock your midweek with the summer concert series every Wednesday on the grounds of the San Juan Historical Society (425 Price Street). With bands playing everything from bluegrass to country to classic pop/rock and roll to funk/Latin/reggae, this summer series will get you up and dancing. Bring a picnic, a lawn chair or blanket and enjoy a great evening of free music! For a complete list of all the upcoming concerts, contact San Juan Island Parks and Rec. 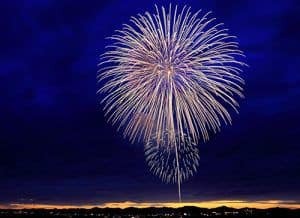 Close your eyes and imagine the perfect small-town Fourth of July celebration…we think Friday Harbor’s is it! The entire town gathers on Spring Street at 10:30 a.m. for the parade…local businesses, community groups, (and whoever wants to join in, including dogs) cheer and throw candy to happy kids. The theme for this year’s parade is “Music of America”, celebrating music through the decades. After the parade, the Kiwanis Club hosts the annual Pig War Picnic at the San Juan Historical Museum grounds (great BBQ!) with live music. Roche Harbor Resort, at the north end of the island, offers an Old Fashioned 4th of July with a doughnut eating contest, blindfolded dinghy races, and log rolling contests. At the end of the day, grab your kids, your honey, your blanket and be ready to relax with magical fireworks reflecting over the port of Friday Harbor (and also at Roche Harbor). And if you haven’t had enough fun, head to the “Rock the Docks” dance party at the marina at the end of the night! Learn more about the festivities at San Juan Island Fourth of July Celebration. One of the island’s treasures, Island Stage Left has been performing Shakespeare’s plays in the San Juan Islands for the past twenty years. This summer, the troupe presents “The Tempest”, Shakespeare’s last solo work – blending magic, spirits, love, treachery, and forgiveness, and one that will delight all ages. The performances occur on all the San Juan Islands (San Juan, Orcas, Shaw and Lopez) and the suggested donation is $20. Please check with Island Stage Left for times and locations. San Juan Island Lavender Festival – July 21-22, 10:00 a.m. – 5:00 p.m. The lavender fields of San Juan are one of the island’s most beautiful attractions—and certainly the best smelling! Pelindaba Lavender Farm sprawls across 25 acres of land. Stroll through purple-flowered fields, enjoy lavender-based snacks, ice-cream and lemonade on the lawn, and shop handcrafted lavender products. You can harvest your own bouquet straight from the field, weave a wreath, or watch live lavender-inspired demonstrations. And if you miss the festival, don’t worry—the fields are open all summer. Pelindaba also has a store in town if you can’t make it to the farm. Whatever you do, don’t forget your camera! Leashed dogs are also welcomed. More details can be found at San Juan Island Lavender Festival. 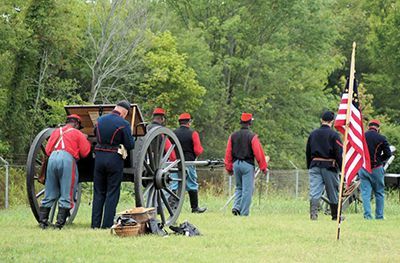 National Historical Park Encampment – July 27 through 29 – 9:00 a.m. – 4:00 p.m. Many historical reenactment groups recreate famous battles but here on San Juan Island, we reenact peace! This summer will be the 18th reenactment of the joint occupation of San Juan Island by British and American forces from 1859-1872, when a war almost erupted over the death of a pig. The participants live like mid-19th century Royal Marine light infantry members and pioneers, demonstrating blacksmithing, weaving, and black powder muskets, among other activities. The annual Candlelight Ball will be held on Saturday night in the English Camp barracks, where you can party like it’s 1859! All the scoop is at National Historical Park Encampment. Third Annual San Juan Summer Arts Festival – Fridays, August 3, 10, 17, 24 and 31 – 4:00 p.m. to 10:00 p.m.
Why have just one arts festival, when you can have five? Celebrate the creative spirit of the island every Friday evening in August with over 25 art vendors, delicious food from local vendors, local beer, wine and spirits, live music, tarot card readings, henna tattoos, art stations, and so many more surprises. 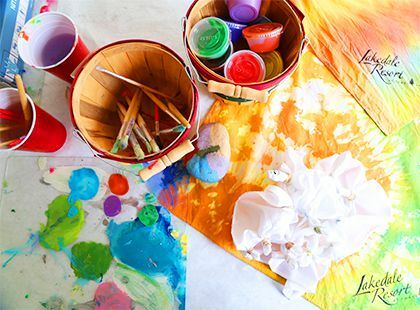 Get in the artsy spirit with this fun-filled event! Check out the details at San Juan Island Summer Arts Festival. Much like the Friday Harbor July 4th celebration, the San Juan County Fair takes you on a nostalgic trip back to the good old days. For four fun-filled summer days and nights, islanders celebrate with exhibitions (think floral, baking, photography, arts and crafts to name a few of our favorites), 4-H demonstrations and judging (you can buy a pig, cow, or sheep), the Trashion Fashion Show and the Zucchini 500 race (we’ll let you guess about that one).Fantastic food food vendors and live music add to the magic country fair ambiance. Come one, come all to the San Juan County Fair! 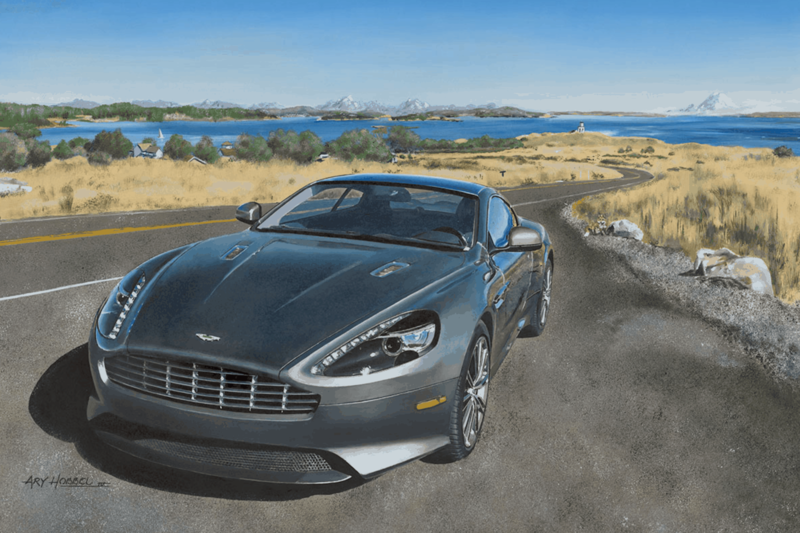 Concours d’Elegance of the San Juan Islands – August 26 – 11:00 a.m. – 3:00 p.m. Sponsored by San Juan Vineyards, where the event is held, the 12th Annual Concours d’Elegance tops off the San Juan Island summer. Admire rows and rows of classic and unique cars (while sipping wine, of course! ), eat great food, and listen to live music by the Argyle Street Jazz Band. Sounds like a great way to end the summer to us! Get all the info at Concours d’Elegance. Check out our summer-long ideas for outdoor activities on San Juan Island, including biking, kayaking, visiting San Juan’s alpaca farm, whale watching, and so much more. There’s always something fun to do on San Juan Island! And for a relaxing place to return to after your day’s adventures, book your Lakedale lodging now! We’re located in the heart of the island on three gorgeous lakes, and we can’t wait to be part of your summer fun!